This is a rectangular flange Duplate Shatterproof Glass porcelain sign. This particular Duplate Shatterproof sign is predominantly blue with white and red text. 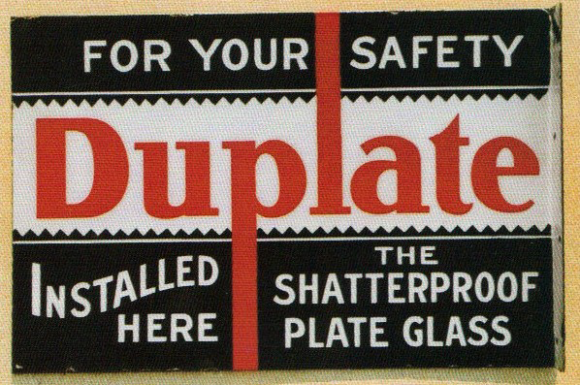 It reads, “For Your Safety, Duplate, Installed Here, The Shatterproof Plate Glass” and features a white banner across the center.